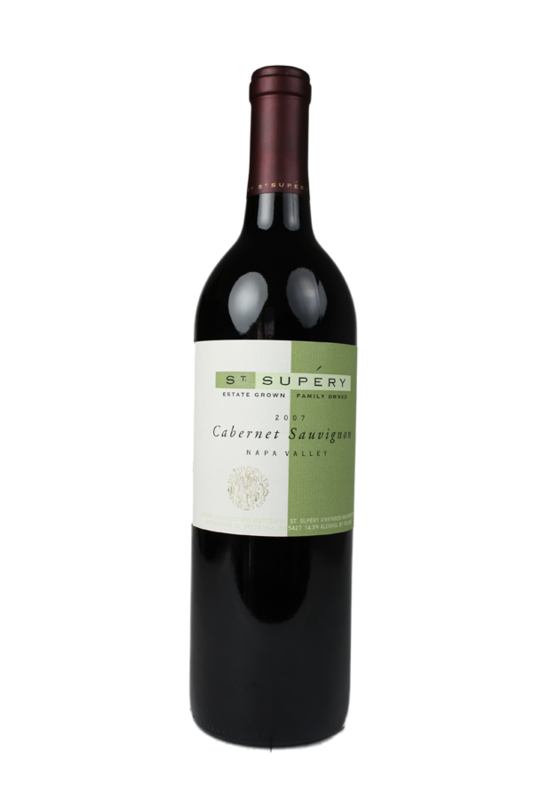 2007 St Supery Napa Valley Cabernet Sauvignon | Wine Splash! What a way to close out the 2013 Thanksgiving holiday weekend than with a beautiful Cabernet Sauvignon from St Supery! We thought we may get to this wine on Thanksgiving day but the over abundance of food, desserts, and pinot noir just took its toll. But now I am glad I waited since I could taste this wine with a fresh palate. On the nose, aromas of black cherry, blueberry, oak, and anise filled my senses. The color is very garnet but ruby along the edges. Over the palate, this wine is full bodied, silky smooth, soft, with wonderful refined tannins. Flavors of ripe plum, cassis, and baked blackberry pie swirled in my mouth. On the second sip, I found some lush black cherry and a sweet, smokey oak finish which lovingly lingered for several minutes. Very elegant and enticing! A cabernet that would pair perfectly with beef, a rare steak, or a rich tomato pasta dish. I am just starting to get to some of my 2007 Napa Cabs and this wine was worth the wait but it only made me want to open more! The Wine Enthusiast gave this wine 90 points about 2 years ago but I must say, it has improved with some cellar aging. I think the 2007 St Supery Napa Cabernet Sauvignon deserves a 92 point rating at this time of its life. Excellent black fruits, elegant tannins, and a long finish just exudes its own sensuality. If you have a 2007, treat yourself and open it this holiday season. But I feel it can still age up through 2015 in the right cellar conditions. WineSplashing! !